Capt. Jay Rifkin raised this massive blue marlin while trolling a purple Softhead lure outside of Manele Bay, Lanai in 200 fathoms of water. Mike and Kendall Michaelis took turns battling the fish during the three-hour battle from the JUN KEN PO. Co-capt. Chris Cole was ready with the gaffs when the 1058.3-lb behemoth neared the 42-foot Bertram. 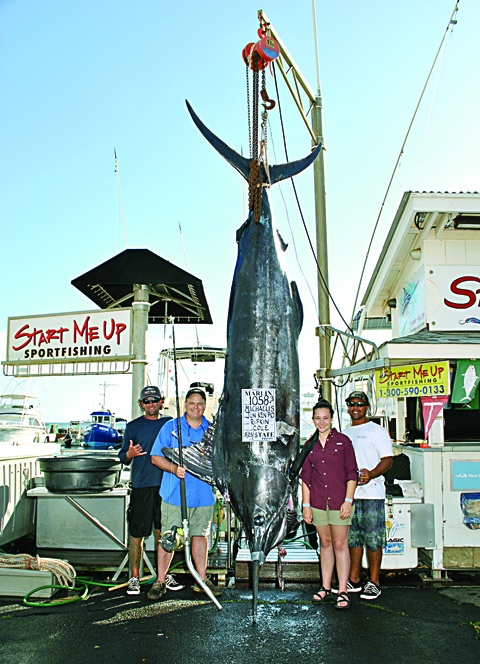 This marlin is the largest caught in Maui County since 2007.